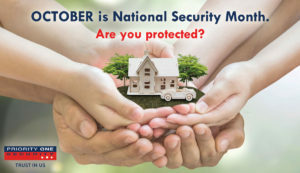 October has been designated as National Security Month. You may be reviewing your computer security or cyber vulnerability but we here at Priority One want to encourage you to take this month and get educated on securing your home, your family and your peace of mind. 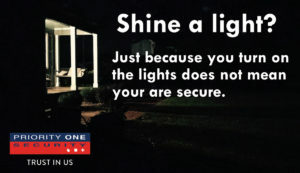 This Month we will be sending you safety tips, home security reminders and important steps to make sure you are protected and connected. We want to kick off this first week of October with Shine A Light. In the Fall the skies begin to darken early and soon the clocks will be set back making it even darker. Research shows that there is a major increase in burglaries this time of year. So we encourage you to make sure your home and surrounding area is secure. Do you have a garage, outdoor pets, bikes, outdoor furniture? This week take a moment to survey the areas outside your home that may need protection. 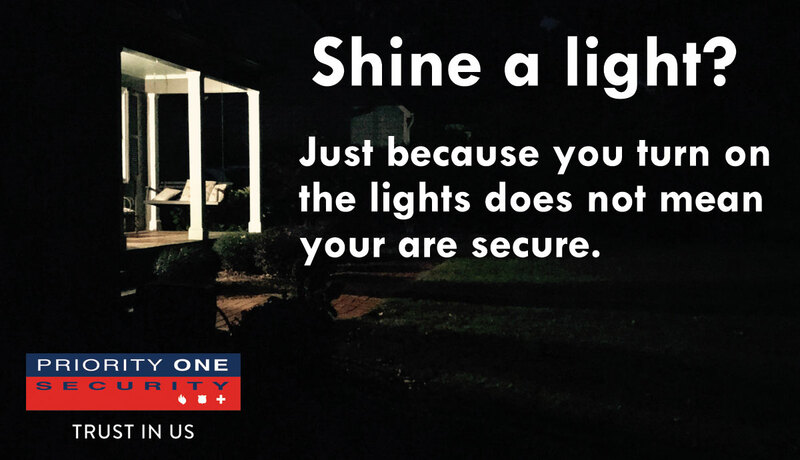 Remember that burglars look for unprotected areas of darkness to hide in and just because you leave a light on does not mean your home is completely safe. Not sure where to begin? Give us a call at 888-407-SAFE and one of our skilled technicians will meet with you to discuss the best solutions for your home.